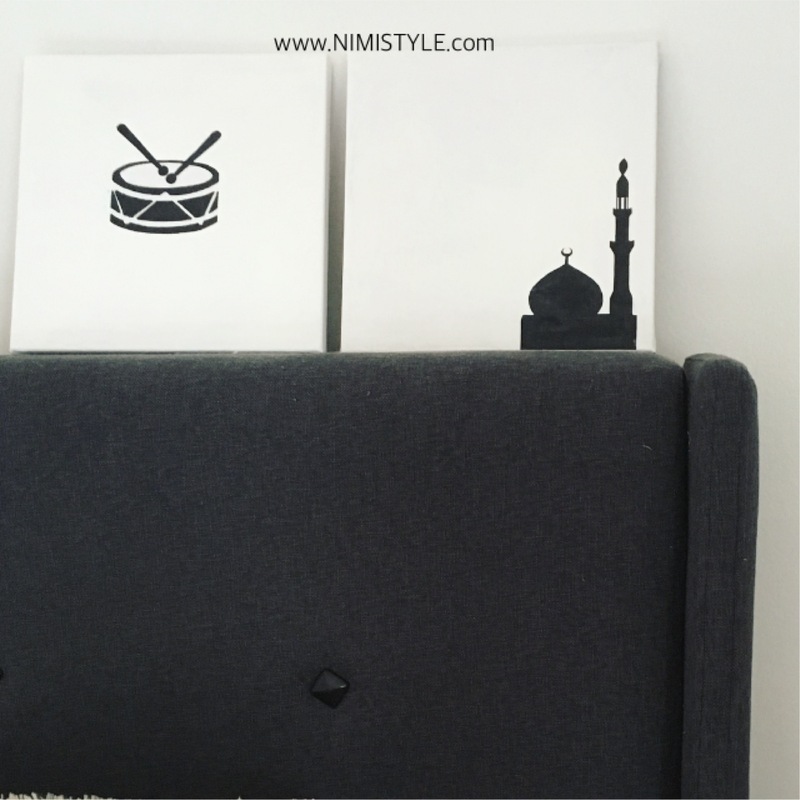 I was inspired by Manal of Hello Holy Days to use the Ramadan drummer in my decor this year, and with that inspiration came a new DIY! I wanted something simple and not too literal and that is how I came to making these silhouettes. 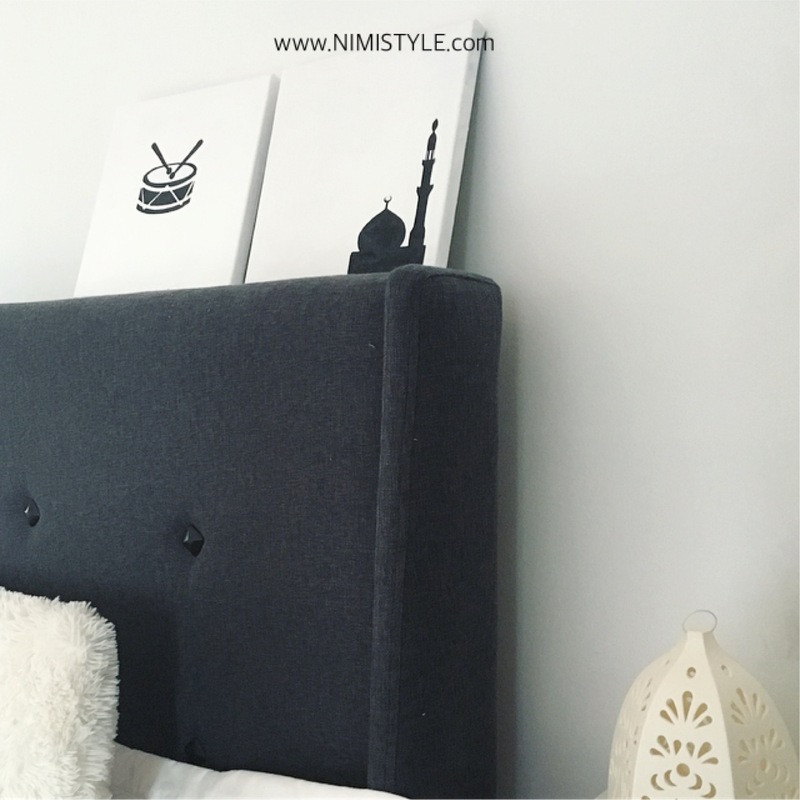 (1) I recycled an older canvas so I painted mine white. If you’re using a new one you don’t have to do anything. (2) Next go to the wonderful World Wide Web and search for a silhouette. (3) Print and cut it out. 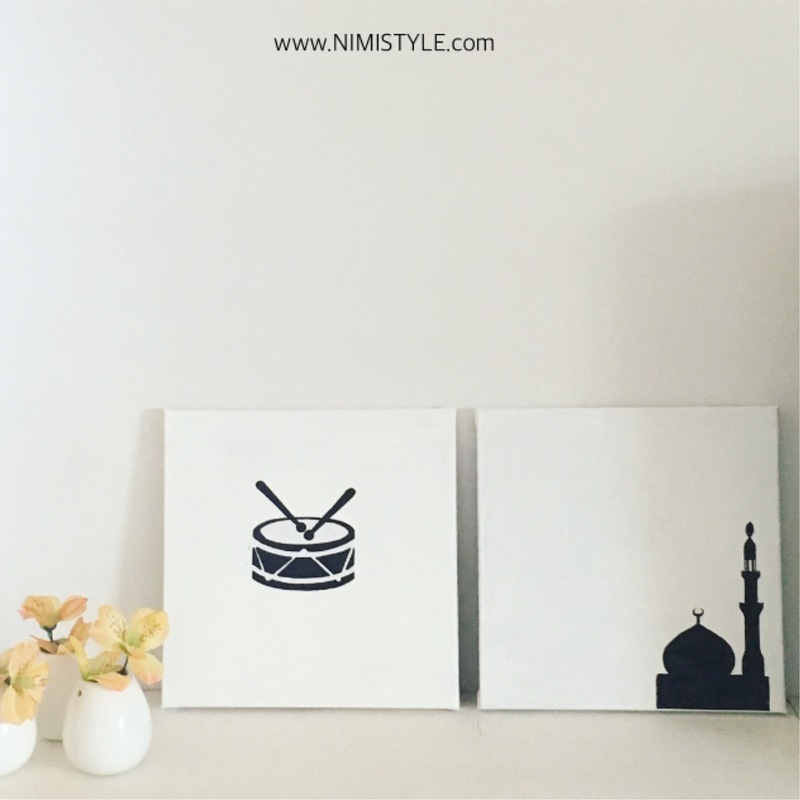 (4) Glue it onto your canvas. (5) Hang and enjoy! So easy right? !